It was 2 years ago today February 7th 2017 that my life changed in a blink of an eye - a traumatic accident that left me with both my legs crushed . The damage that was done left me with a left leg amputation, and I was very lucky considering the condition my legs were in. Multiple surgeries and skin grafts on 85% of my below knee amputation, I was faced with a serious and painful road to be able to walk again. The prosthetic doctor I have is an amazing person and he wouldn’t give up until we found something that would work. I had been through so many disappointments and frustration, nothing seemed to work. I was facing a revision surgery that consisted of an above knee to remove the damaged and skin graft area and was in tears at this point. Then, Mark, my prosthetist, had returned from a convention were he was introduced to the “ IFIT “ prosthetic !! We set up a meeting with Josh Mullins and he came all the way to Idaho and we gave it a go… It was a Miracle. I’m not just saying this.. it is very true. I put on the “IFIT” socket and I walked immediately!!!! I couldn’t believe it !!! it was truly a Blessing. Kind of like wearing a great pair of shoes right out of the box. I have been wearing the IFIT for almost a year now and it has always everyday been comfortable. With their advances I’m hoping to be refitted with a new model as my limb has changed. I am grateful for the ability to adjust it through out the day. 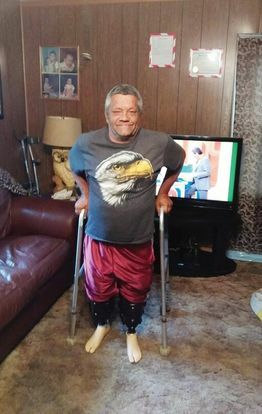 It has given me the freedom to be able to walk even with the limb changes and I don’t have to add socks to make up the loss of volume. The best part is... I haven’t had to have the revision surgery , being able to keep my knee has made a great difference in the life I have been handed. Thank you so very much for your thought and care you have put into the IFIT to make the lives of others easier and more comfortable. "I feel like I stand up straighter now. I don't feel like I'm getting as tired and trying to exert myself. I like them."-C.S. 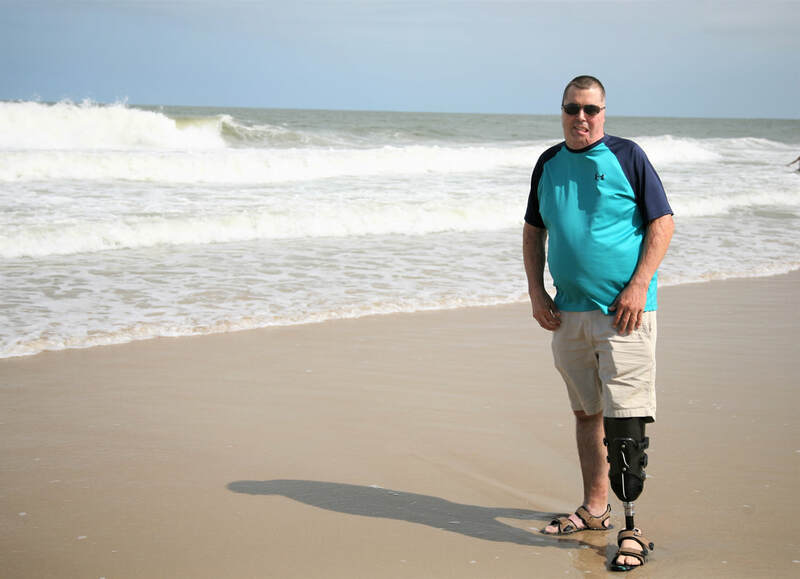 "My initial thought, both as a prosthetist and a user, was that the adjustability was fantastic. One consistent problem we face is residual limb volume changes, but with iFIT, instead of adding or reducing padding or socks, you can just release the latch and adjust it very easily." - J.P.
"I love how it fits - iFIT is the only device that hasn't caused a problem with my tibia. It took me a little over two hours to get fitted initially, and I walked out with a finished product and haven't experienced any issues at all. "- W.T. "This prosthesis is like night and day from my old one. I felt very unstable and had to use a cane to get around. Now I haven't had any problems and can get around easily- this is awesome. "- M.M. "It's a completely different feel (from my other socket). Instead of feeling all of my weight on my tibia, I just feel it distributed throughout my leg... I've been putting it through a lot." - R.D. "I have been wearing it around the house quite a bit on the weekends. It comes in handy when my stump goes through a hard days work and there is some minor swelling, which causes pressure in a solid socket. Since the iFIT is adjustable it's perfect for times like that, especially after I go hiking or running." - C.T. "For three years I have been struggling to get my prosthetic to fit right and relying on a crutch. Now with this device I can walk fine on my own- I am FREE!! J.K.
"This is the most comfortable socket I have ever worn, and I have worn a prosthesis for over 40 years.”- P.R. "I like being able to adjust it easily throughout the day. Just one adjustment and no need to use extra socks." - L.K. "I love this liner!!" - D.F. "It feels like a cushion. Like I am walking on a pillow”-D.S. "It doesn't wobble. I feel very stable unlike my other prosthesis.”-R.F.